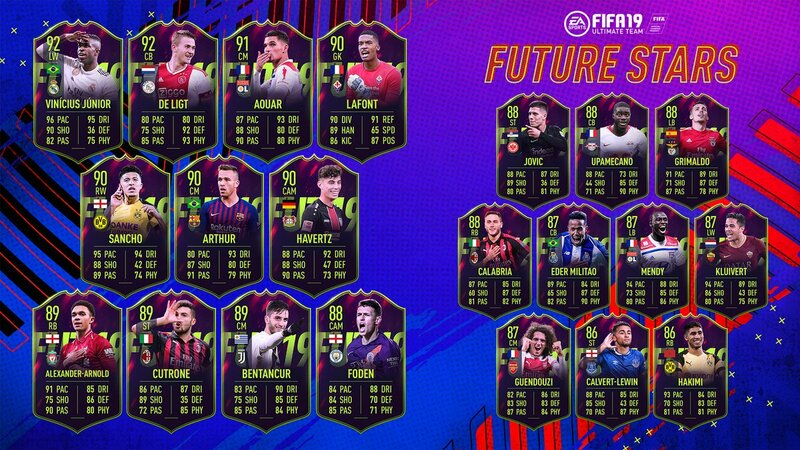 FIFA 19’s FUT Future Stars breakout stars are now set to be rolled out into packs, and there are some serious cards in the mix. 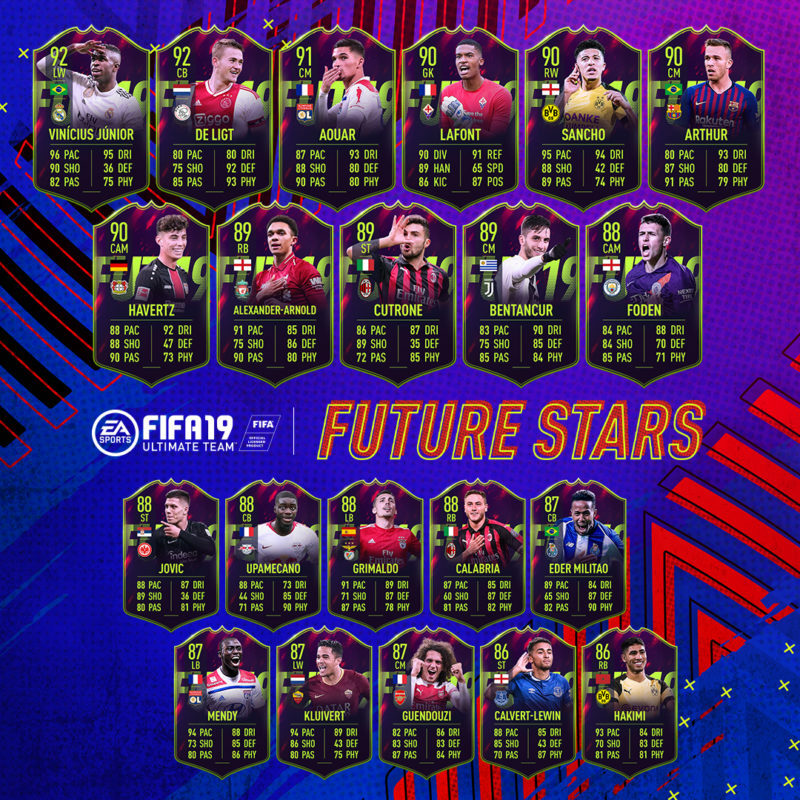 The squad of 21 includes an 89-rated Trent Alexander-Arnold, 88-rated Phil Foden, and what’s set to be a much-sought-after 90-rated Jadon Sancho card which sees the 18-year-old awarded with 95 pace, 94 dribbling, and 89 shooting stats. Check out the full squad lsit below. The 21 players will be in packs live in-game today from 6pm. In other FIFA news, Virgil van Dijk received a boosted in-form card for winning the Premier League Player of the Month for December.